Imagine your school or library jam-packed with children of all ages. The kids are quietly captivated by stories, magic tricks, puppets, music and more! Witness the excitement as everyone receives a FREE “Amazing Teacher” bookmark. Finally, watch in amazement as books disappear off the shelves like magic. Make your dreams come true by scheduling an Amazing Teacher show. Go ahead! We DARE you! 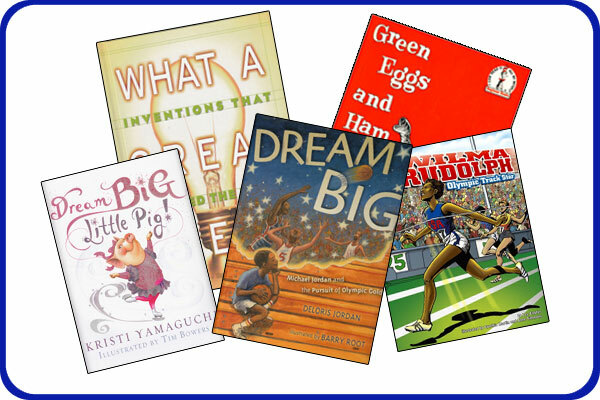 Dream Big: Read and Succeed with Steve and his friends this year! Dare to Dream is a hilarious hair-raising adventure that combines magic, music, puppets, and storytelling in a unique and unforgettable way that will keep every child fully engaged from start to finish. Together, with his crazy sidekick Tucker Turtle, they embark on an amazing escapade using books and stories that lead to tons of learning and fun in the library. Audience members will discover cryptic messages (Dewey Decimal numbers) that can help them turn their dreams into reality. By working together, the audience will discover, Hopper the Magic rabbit (a live bunny), and his Big Dream! – He will magically appear in a flash and cause every jaw to drop in wonder! 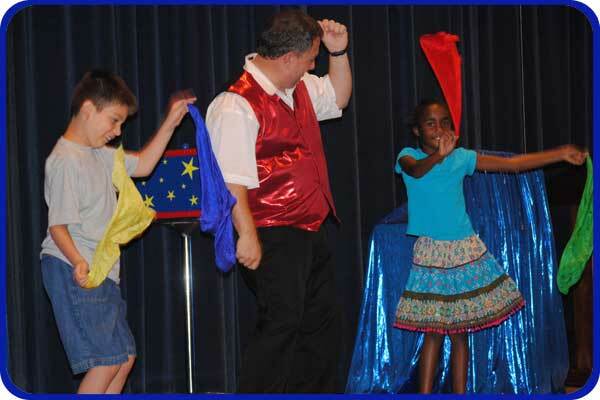 Dare to Dream creatively combines learning and fun resulting in magical edutainment! It starts with a search for Hopper’s big dream. Along the way, students learn about people who lived their dreams and how books can be a stepping stone for discovering and living any dream! The theme of the Dare to Dream show is built on the premise that everyone has a dream. And no matter who you are, reading books can help you succeed in living your dream. The show includes many volunteers, but two of them actually get to Dance with the Scarves! This is definitely a great “Kodak Moment”! Often local newspapers and media outlets will attend an Amazing Teacher event, reporting some unusual claims. Check out this article entitled Laughter – it’s His Superpower! 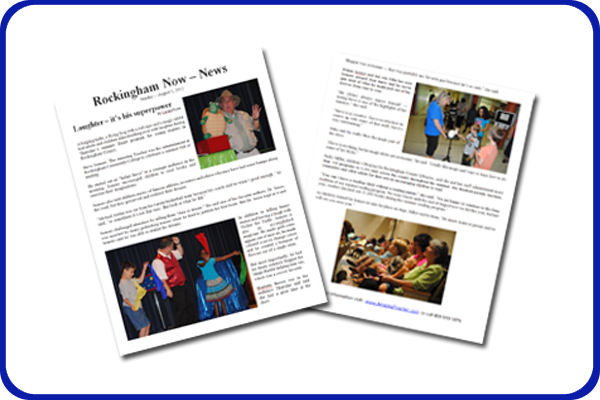 from the Rockingham County Public Library Summer Reading Program Finale (Excerpt from August 2012 edition of Rockingham Now). Make dreams come true and schedule this show today! Are you wondering just what makes the Dare to Dream reading show so special. Take a sneak peek at some early footage of the show. Based on audience response, this program is destined to be one of the most popular shows in the Amazing Teacher collection! He did it again! Steve Somers, the Amazing Teacher has created another brand new motivational reading show that inspires kids to read books while challenging them to discover and live their dreams. Dare to Dream is a tremendous success, but don’t take our word for it . . .listen to just a few of the experts who had the opportunity to see this amazing show debut!